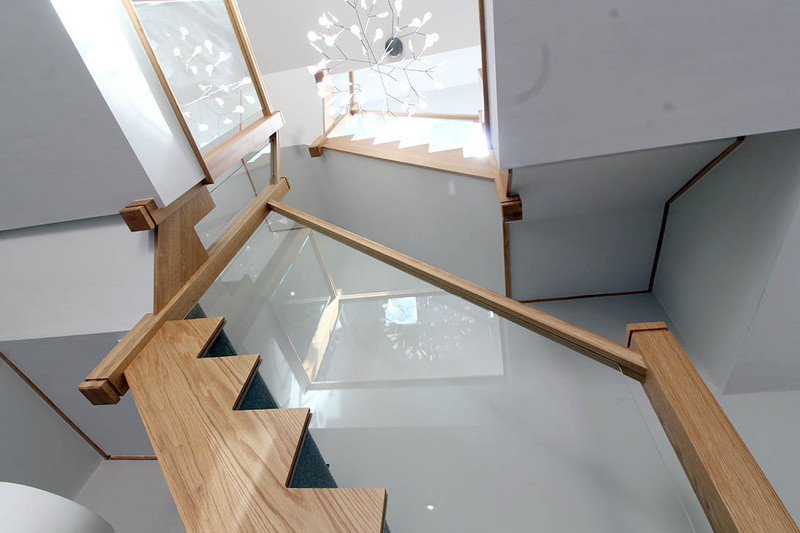 The Stokes family had a beautiful home under construction, but wanted more from their staircase that the architect designed. 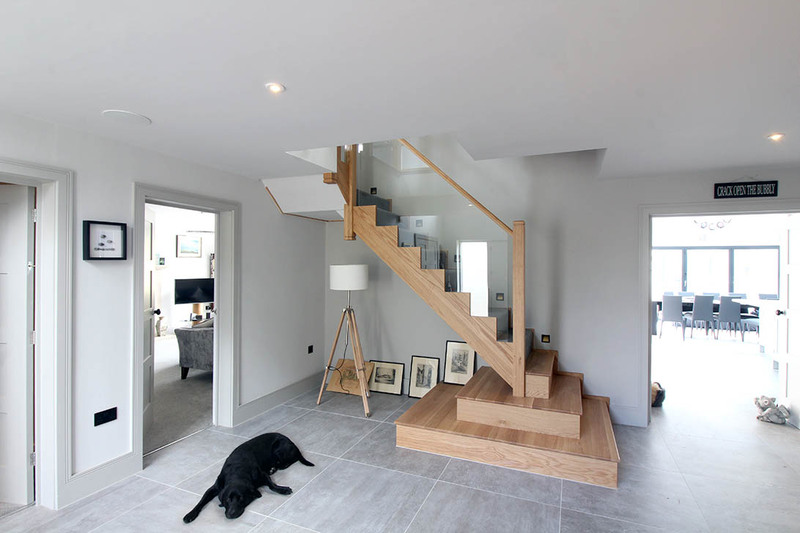 First Step Designs took on board the challenge working with the Stokes family on both design, layout and budget throughout the project. 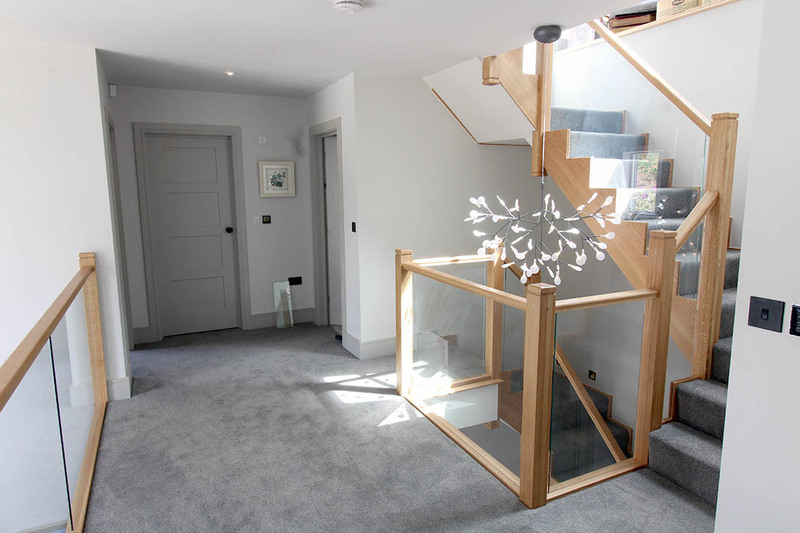 Originally both of the staircases were the same layout, but our design team advised to remove a wall and change the swing of the kitchen and then we could embrace a feature opening to the staircase. 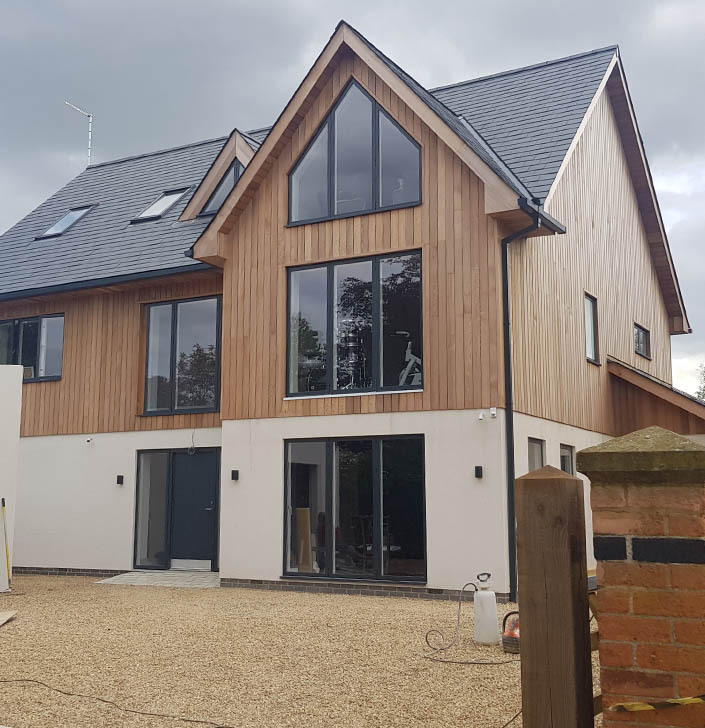 Being on site early allowed us to advise of these changes. 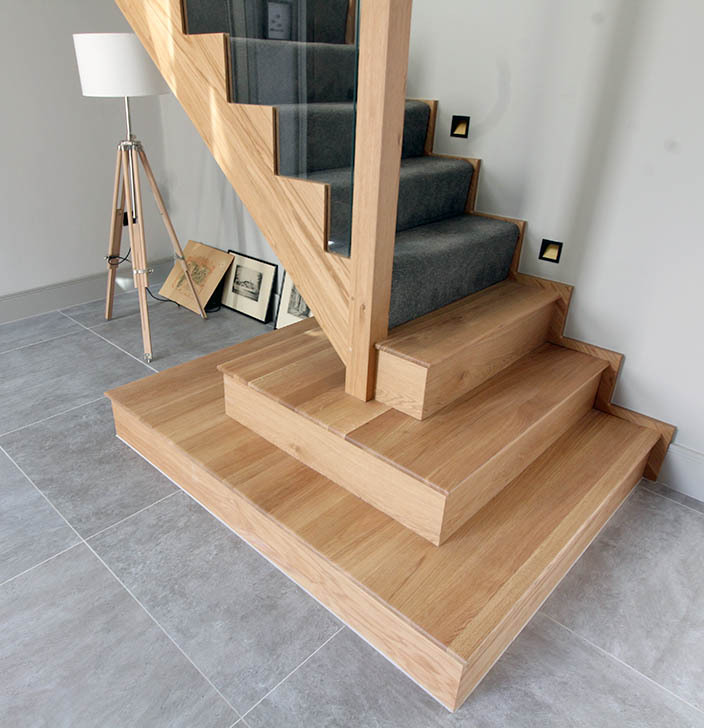 The bespoke opening feature consisted of three large steps (all finished with anti-slip lacquer), with tread 1 measuring over 2200mm long! 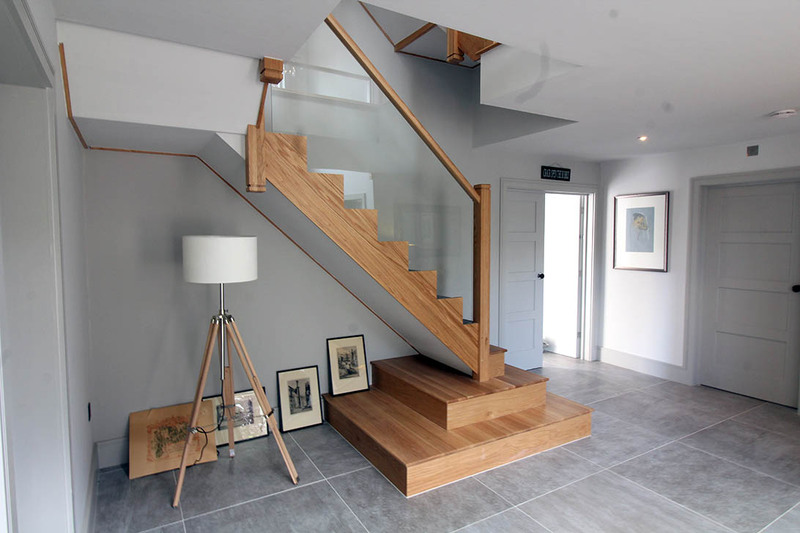 These steps can now be dressed with photos, ornaments, plants books etc.. to really set a elegant tone to the entrance hallway. 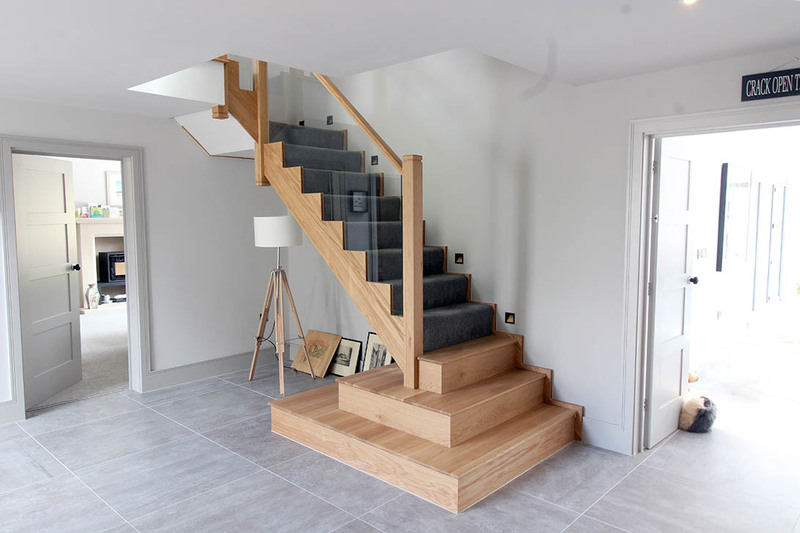 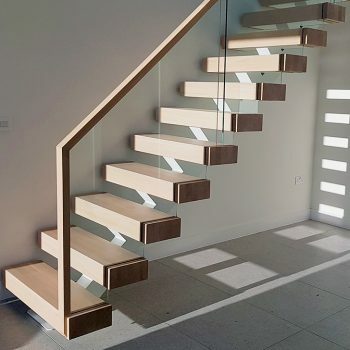 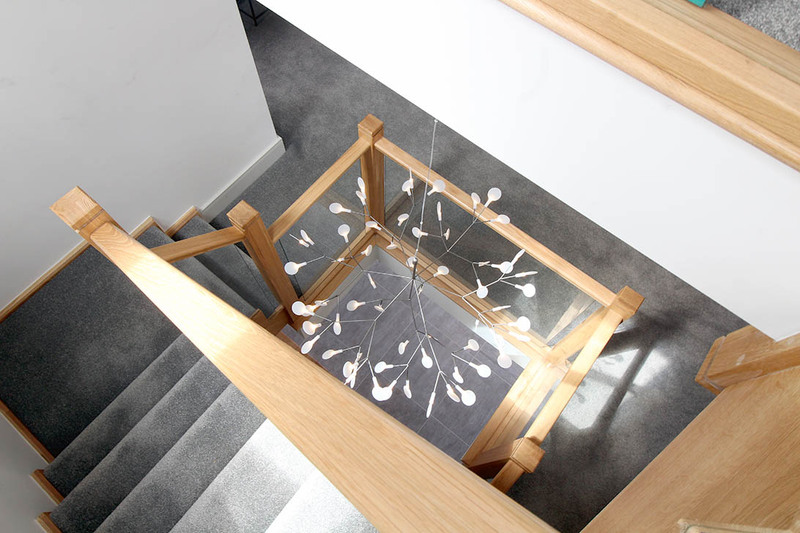 This bespoke staircase features a contemporary cut string (zig zag effect) designed for the comfort of carpet, whereas usually this style consists of exposed treads, this was a one of a kind special for the Stokes family. 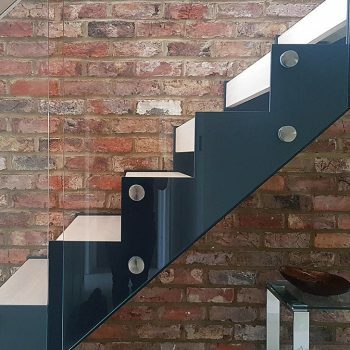 The zig zag style glass was grooved inside the main structure of the staircase, removing the need of additional mouldings or baserails, keeping the design slimline and minimalistic.